← Streaming revenues 2017 are about to double in just one year! In April 2017, I co-founded tamanguu, which currently focuses on developing the Business Networking Tool tamanguu.contacts. As big picture, we are developing a software-as-a-service platform for guided artist management. The first module is tamanguu.contacts – a smart digital assistant to relationship management and networking. This entry was posted in Artist Development, Artist Management, Artists, Brand Management, General, Labels, Music Industries. Bookmark the permalink. This is the music industries blog by Dr. Johannes Ripken. Read through the author's page to get more information. 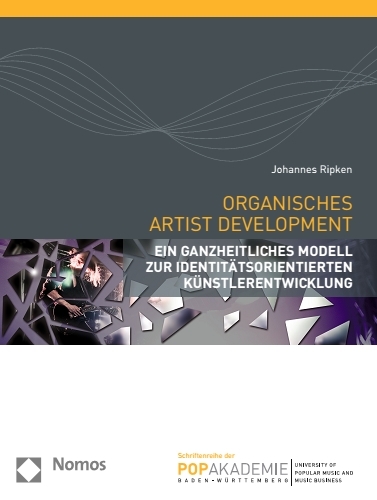 Dr. Johannes Ripken published a comprehensive specialist book on "Organic Artist Development" through the well known publisher NOMOS Verlag in collaboration with Popakademie Baden-Württemberg, the University for Music Industries and Pop Music. Streaming revenues 2017 are about to double in just one year! CeBIT 2017 – why and what for the Music Industries? Does music streaming have the potential for a new ‘Golden Age’ for the recorded music industry?